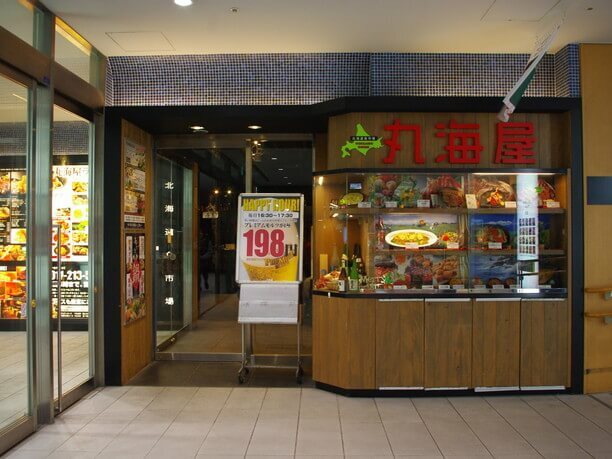 You can get fresh Hokkaido seafood from noon until midnight at Marumiya! If you want to eat fresh seafood as soon as you arrive in Sapporo you are in luck! Marumiya is in the Paseo department store which is directly connected to the Sapporo station. It is open until 5 in the morning so even if you arrive late at night you can still enjoy fresh seafood and gourmet specialties at this attractive restaurant. 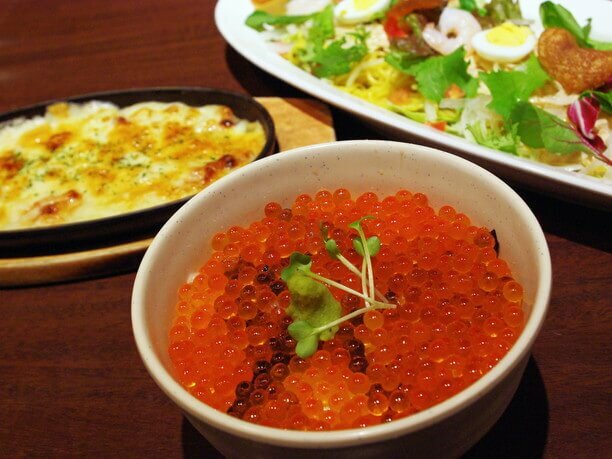 It specializes in seafood rice bowls served for lunch! There is also evening entertainment that comes from all over the province. 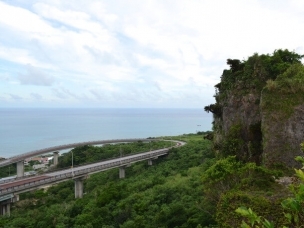 In addition to their seafood they also serve locally produced beef and chicken. Connected directly to the train station, this restaurant is open all night! Sapporo station is directly connected to the “Paseo“shopping mall. Even if it is raining or snowing you can get to their restaurant comfortably! They have lunch special deals that are very popular, like their seafood rice bowl. They also feature grilled Atka mackerel, horsehair crab, and ramen salad. All made with local ingredients! 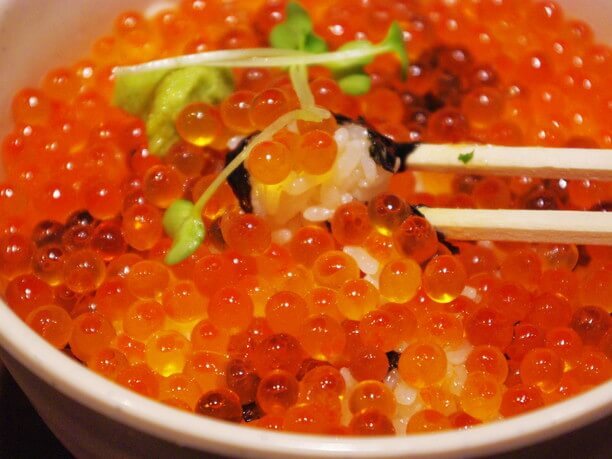 Their popular seafood rice bowl is offered both day and night. It is sold until 5 a.m. the next morning. Being that it is connected to the Sapporo station it is so convenient to get a good meal even when you arrive late at night. 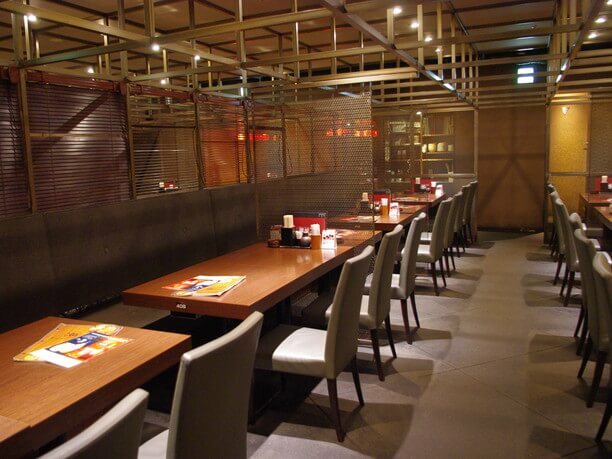 There are 250 spots for table seating as well as tatami room seating. Their seafood Bowl is filled with seafood! Their very popular Ishikari Oyako-Don (880 yen) comes with 6 types of seafood. You can also get their luxury seafood bowl (1480) with an additional five more types of seafood. 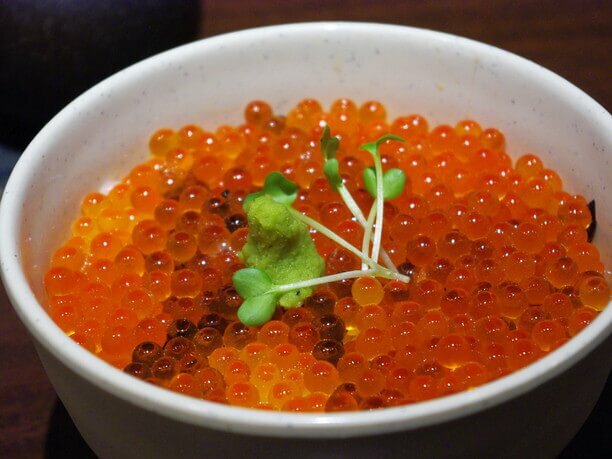 Especially popular is their rice covered in fish eggs (1500 yen at lunch and a smaller serving at the night for 980 yen). It is seasoned with soy sauce and has plenty of rice. Fishermen in East Hokkaido immediately store the fish in soy sauce then once in the restaurant the staff adds their secret sauce. The secret sauce is a little bit sweeter yet spicy broth, that adds a rich flavor. Enjoy nice Oysters caught by local fishermen! At night, great seafood is available. In the Fall, the specialty is Pike. In the Winter they specialize in oysters. 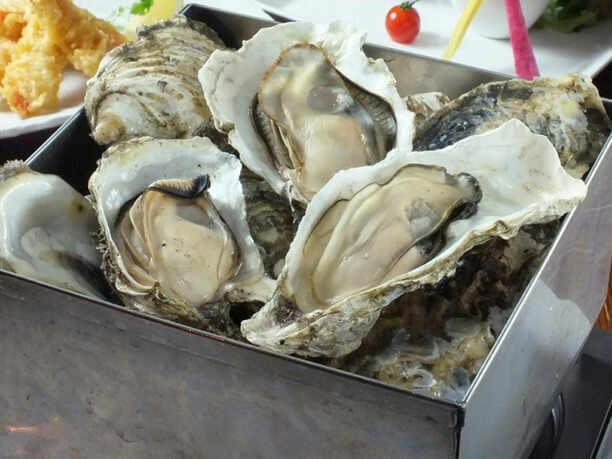 Their steamed oysters in the shell sell for 5 for 1780 yen. This meal is popular with the fisherman. It is a common sight to see fisherman steaming their oysters in an open fire. The Oysters are plump with a salty taste and flavor. The locals love their local delicacies! 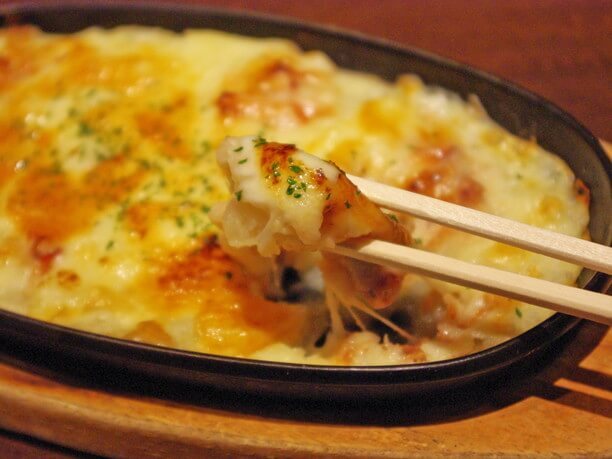 Another popular item on their menu is their potatoes baked with cheese over squid (580 yen). 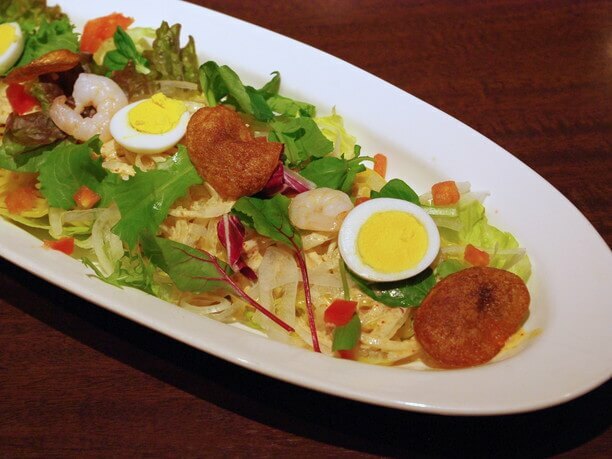 Also very popular is their Hokkaido ramen salad (790 yen). It has boiled ramen noodles, topped with plenty of onion slices, lettuce and other vegetables. Eaten with a sesame base sauce is a tavern staple. You can also choose from three other dressings. 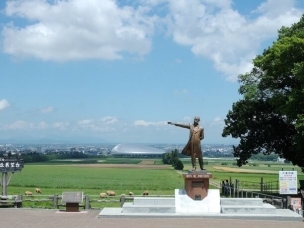 So come to Maruyima and enjoy a variety of Northern Japan’s cuisine in the morning. 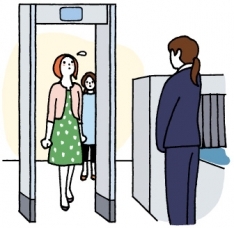 It is so easily accessible being that it is directly connected to the Sapporo station. If you are lucky you will visit on a day when they are serving their seafood rice bowl as a daily lunch special for 750 yen! Since it is connected to the train station it has direct access and is open all night. In addition to seafood they serve other local delicacies such as Hokkaido chicken yakitori. 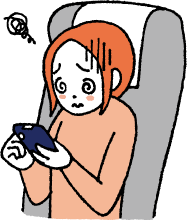 You may be surprised at the combination of salted fish with potatoes and cheese. It is very popular with salted fish like anchovies. It goes well with sake! 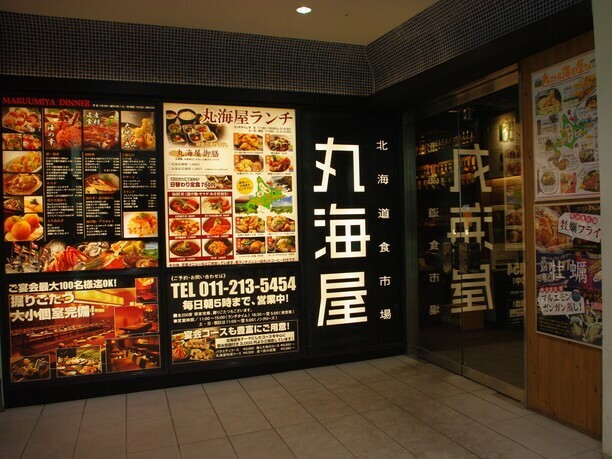 Eat fresh seafood in the Shin minami taru market at the Kitchen ensemble Fukasawa restaurant. Operating for more than 40 years the Seafood canteen Sawasaki Fisheries boasts delicious, fresh seafood.